This is the third and last part of the WordPress series on building a WordPress theme. 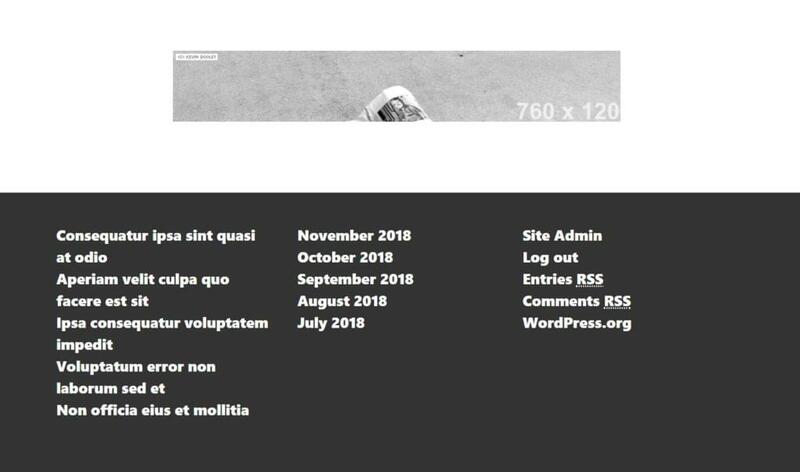 Part 1 introduced WordPress theming, and in part 2 we built a basic theme. We utilized the Clean Blog template by StartBootstrap to add style to our WordPress theme. The code we’ve written so far is available on GitHub. We have added single.php, page.php, archive.php and index.php templates so far, but we left the task of finalizing it for this part of the task. We introduced functions.php — a file that WordPress uses to automatically include functionalities particular to our theme, and we added functions to it. We added a dynamic header function to our header.php, and we separated that functionality into our functions.php. Ideally, this should be organized into a separate file — possibly in an inc folder inside our theme — to keep things clean. In part 2, we also introduced partials — footer.php and header.php. In the previous article, we separated our <body> tag — the opening one — into header.php, and we added <?php body_class(); ?> to it. This adds some semantic classes to the body that tell us whether we are on a page, post, whether we’re logged in, or not, and so on — enabling us to style different elements of our website depending on pages visited, and other things. To be able to change the things WordPress displays, we need to know what file is being used. In our case, index.php is used as a default fallback template. This infographic shows the hierarchy of templates used. It can come very handy when overriding or creating themes. 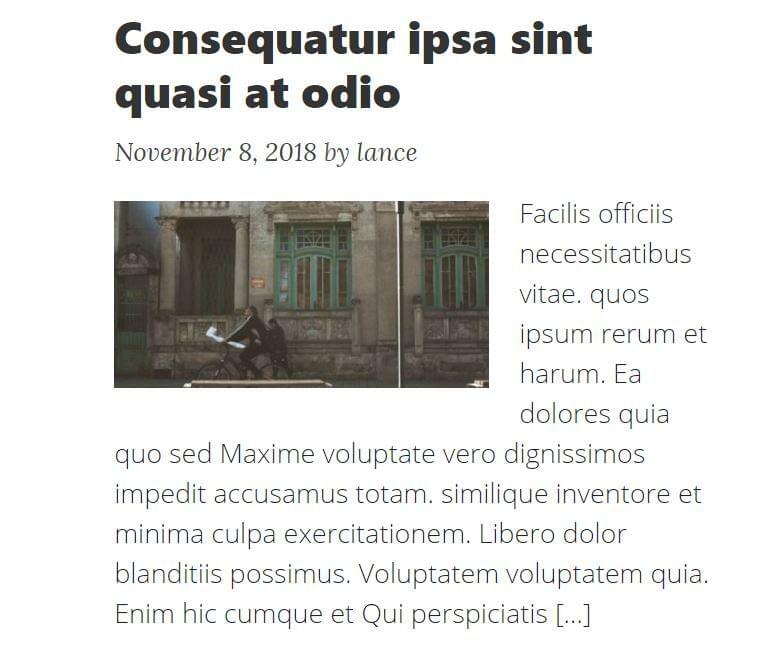 In the previous article, we started refining the archive.php loop, adding meta information and post thumbnails to outputed articles. We’ll separate that loop into a separate file, include it in archive.php and index.php, and finish refining it. This means that our partial works. Post thumbnails aren’t enabled by default in WordPress themes. It’s a feature that needs to be turned on specifically in new themes. Most themes have it enabled. To do this, we include add_theme_support( 'post-thumbnails' ); line to our functions.php. 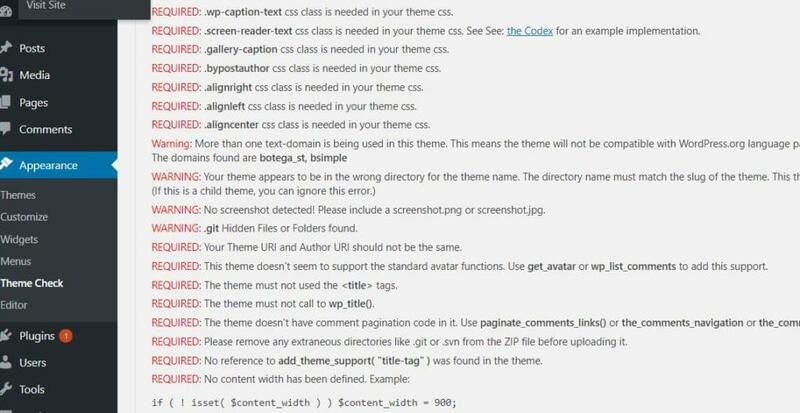 One tip: if we’re building themes for sale, or generally themes that will be released to a wider audience, we may want to use theme unit test data provided by Automattic, as it may provide content for testing a wider scope of cases and theme details. We can specify image sizes to FakerPress, but it will in all likelihood still result in a messy look. We’ll also use post_thumbnails later, on single posts/pages. Theme Sidebars are widgetized areas in the theme. They need to be registered in the WordPress system so that we can place different widgets to these areas. Once we do that, we print — or output — these widgets in our template files. Here, we show how to register two sidebars. Further details on the register_sidebar() function can be found at wordpress.org. Here we use a sidebar ID we used in the register_sidebar function for the bottom_center_sidebar above. We output Bootstrap classes dependent on these conditions, making sure the theme won’t look empty if we omit setting up widgets for pages such as home. Theme is shaping up nicely. Readers will, of course, adapt the styling to their liking. When we talk about styling, we’ll mention the customizer API, and show how to use it to give user-friendly control of the background images for the headers. 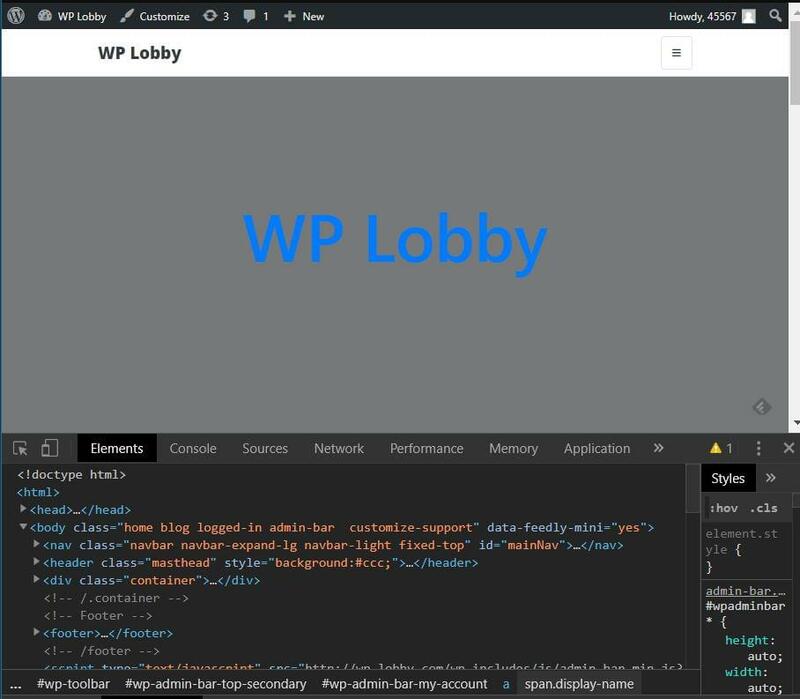 The main thing here is the customize_register hook, and the order of $wp_customize methods (add_panel, add_section, add_setting, add_control. Order matters. The WordPress Codex has a detailed reference of Customizer API. We’ve added phome, pfront and pglobal classes to our header containers. Now we use wp_add_inline_style() and the bsimple-style handle we used to enqueue our base theme style at the beginning — to output customizer settings we just created. We use get_theme_mod() to get each setting we registered. 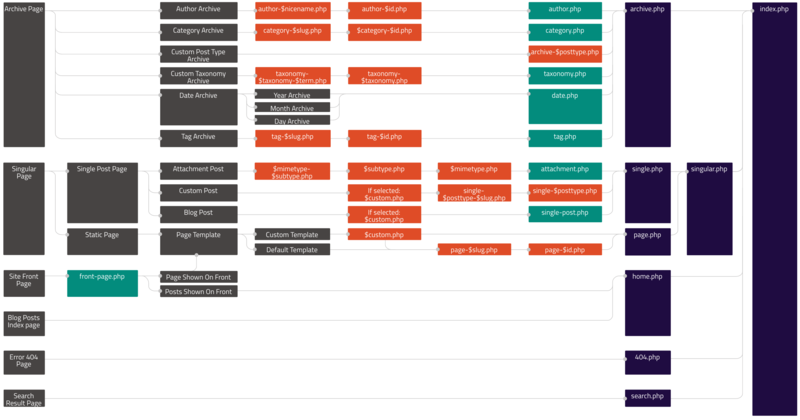 The WordPress template hierarchy helps us to target the exact URL and post that’s loaded upon visit, so that we can atomically design the HTML output for each of these. Many times, we won’t need to create all the templates. Adding a generic background image for all posts or pages wouldn’t make much sense. So our Customizer strategy will work for archives, for blog list of posts, for the front page, and even for terms maybe. But for specific pages and posts, we’ll probably want to set the images individually. 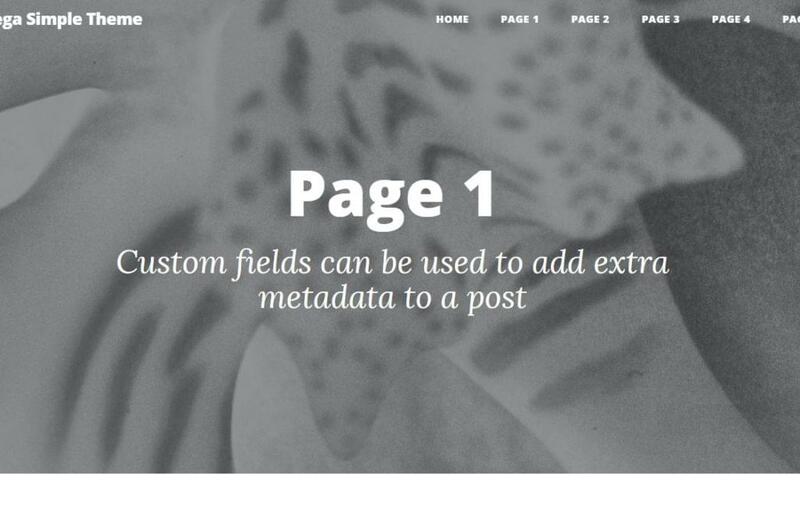 Now the user can set a header image for every single page. We can do the same thing for the is_single() case, which will apply the same solution for all posts — including custom post types. All these things — and styles — can be applied to posts as well. We now need to format the output in single.php and page.php too. Here we’re using a single-column layout, 10/12 wide, centered with mx-auto class. We use the partial content-single.php to output the actual content. Now we have basic minimum for single pages and posts, but more can be added using WordPress functions. We can automatically specify what details we want WordPress to output in a single post, single page, and pages belonging to specific categories etc. We now have a minimal but functional theme we can use to display content. This guide has aimed to be a thorough introduction to WordPress theme building. 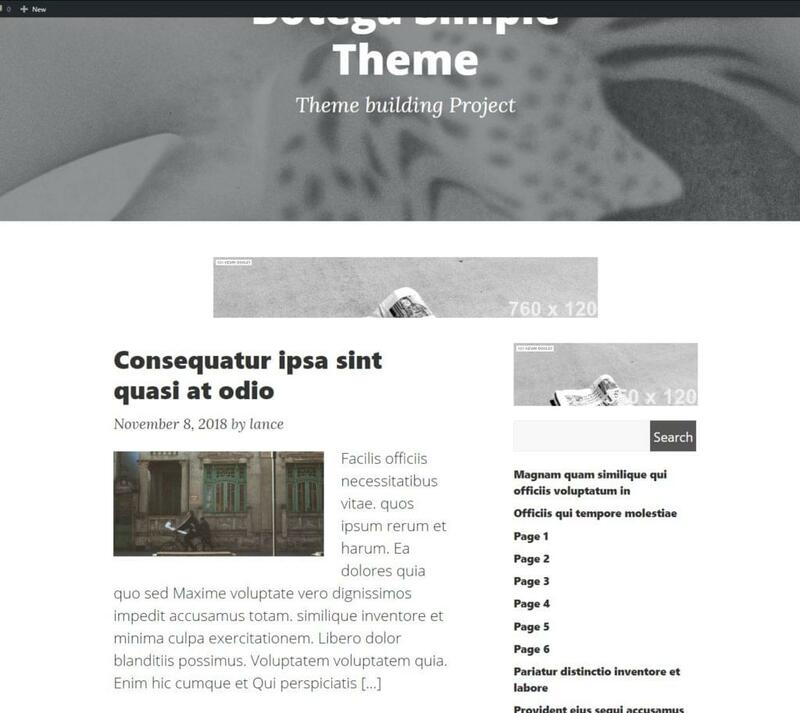 It’s hopefully introduced all the fundamental WordPress theme building concepts, and demonstrated how they come together. But there are still things to learn — like comments partials, author templates, 404 pages and many other little details that should be covered if we wanted to go more professional with this theme. The initial code for this series is available at GitHub here, and the final version of the theme we built in this guide is available here. On these foundations a lot more can be built, with the help of the comprehensive WordPress Codex.